Here is how to build a set of Silca System stairs. This is a cascading stair style which is a more advanced type of deck stair give the compound angles. Once you have cut and installed all the stringers and they are firmly resting on a landing are - and attached properly to the deck frame - you are ready to go. Install the grating tiles over the stair framing and secure them in position using screws. There is no nosing in this example. 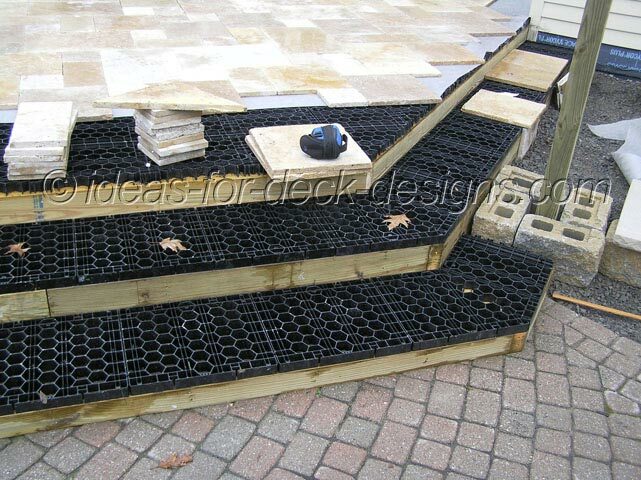 The depth of the stair treads should be planned in advance to coincide with the size of the pavers you plan to use. For the finish to this set of stairs, wood risers with built in lighting was used. The risers rose up to the underside of the paver stones, covering the Silca grating tiles. 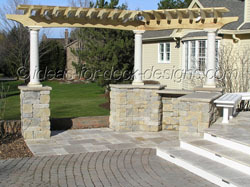 With this home, you can see how the combination of an existing paver stone patio, the stone pony wall supporting the pergola structure and the stone paver cascading stairs all work well together. This is another example of a set of Silca System stairs showing how the wood is incorporated into the risers. This is, I think, the most obvious benefit of a paver stone system for wood decks. 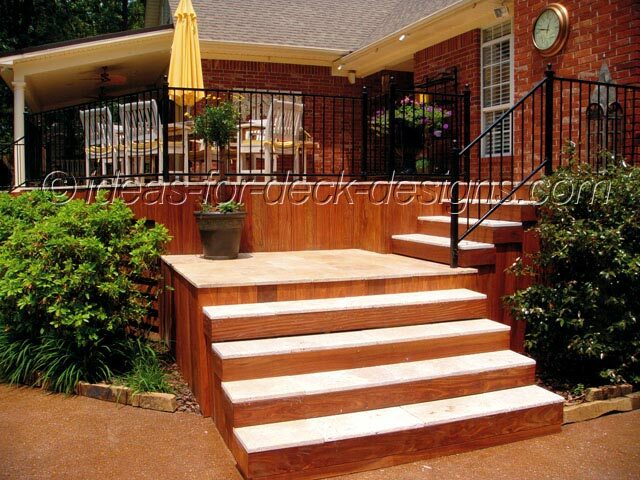 If you want this look, which is more luxurious and has less maintenance than a typical wood deck, its possible. Not only is it possible but it is less expensive than trying to make this kind of a higher elevated deck using traditional landscape construction.